Relationships Build Business. Build Relationships . . . Make more money. Learn how to attract, develop, and maintain relationships to build a rock star business. Benefits: You will know how to attract, develop, and maintain relationships to build business. 1. How to create a personae that will attract business. 2. How to prepare for business and social networking events that lead to business. 3. What to do at meetings and networking events to be recognized as a competent professional. 4. How to network at business and social events. 5. How to correctly use business cards. 6. How to Use the Rule of Three to develop a message in 3 seconds, 30 seconds, and 3 minutes to open dialogue, create interest, and generate business. 7. How to make conversation that will lead to business. 8. How to avoid sabotaging business by knowing what not to say. 9. How to deal with uncomfortable conversations. 10. How to follow-up with new and old contacts after networking events that will lead to business. 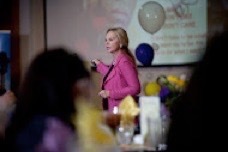 Jane Hight McMurry teaches how to build relationships to BUILD BUSINESS. Learn to build relationships with the Four Personalities to sell products, services, and ideas and increase productivity and harmony in your professional and personal life. Participants learn how to read, understand, and flex to different personality styles in order to work more effectively. The value is that this training will increase production and create harmony in relationships. 1. How to easily identify various personality styles—yours and others. 2. How to understand yourself in relation to others. 3. How to demonstrate your understanding of others. 4. How to flex your personal style to the style of others without compromising your integrity to create rapport and to develop a positive atmosphere in order to effectively work and communicate with others. 5. What you need to do to achieve goals working with multiple personality styles on a team. 6. How to define and refine your personal traits so others will want to work with you. The Winning Difference How A-List Winners Win and What You Need to Know So You Can Too! If you want to win extraordinary results in business and in life, find out what actions winners took that made The Difference and take the same actions. The Difference removes the guesswork teaching HOW. Music, video, and fascinating first-hand stories about legendary winners make this a program you don’t want to miss! Learn secrets of the most successful people on the planet! Includes music, video, and stories about famous figures to educate, engage, and entertain including Jim Valvano, Sarah Blakely (Founder SPANX/1st female CEO billionaire), Sam Walton, Michael Jordan, Carlos Santana, Misty Copeland (American Ballet Theatre’s 1st female Afro-American principal dancer), Michael Phelps, Joshua Bell, Oprah, and more. Stories, video, music customized for your group and educational goals to make The Difference in your business. Audience: All—entry level to CEO! The World is You Oyster . . . ’til You Use the Wrong Fork! Leadership savvy—everything you need to know to shine at any business or social event. Essential training for executives who need to reflect business with the impeccable polish of a diplomat. 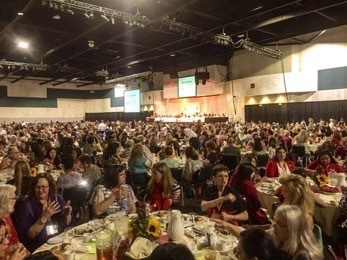 Participants and their spouses who use dining for relationship building and aspire to lead at the highest levels can learn to tame the table with an enjoyable add-on dining event. Humor and history with a fork includes music, stories, and hands-on action making this the most fascinating dining experience they’ll ever have! 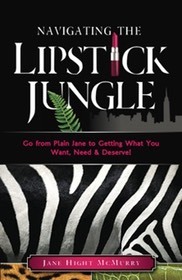 Navigating The Lipstick Jungle Go from Plain Jane to Getting What You Want, Need, and Deserve! A business skills safari especially for women teaching what they need to know beyond education and technical training to survive and succeed at the highest level in the corporate lipstick jungle. 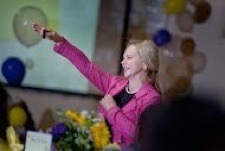 Leadership success customized for women. If you want ordinary results call an ordinary speaker. If you want EXTRAORDINARY results call JANE.